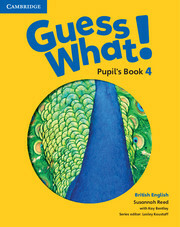 The fun course for seriously good results! This seven-level course delights children and inspires teachers with bright ideas for the English classroom. Perfect for general use Kid's Box Second edition is now updated with new vocabulary and activities so that it fully covers the syllabus of the revised Cambridge English: Young Learners tests. The Class Book presents and practices new language through amusing stories and fantastic songs and activities to give children an enjoyable and confident start to learning English. 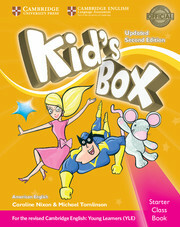 The CD-ROM includes interactive games and fun activities for extra language practice.